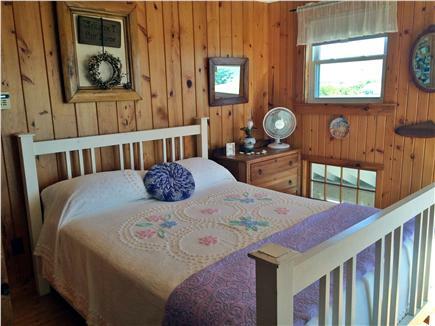 Rent this charming vacation home in West Dennis. 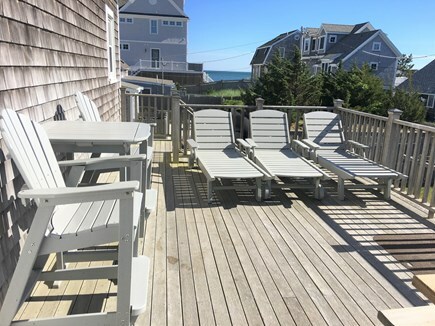 This is a spacious four bedroom, two bath home just steps to a private, sandy, shared private beach on Nantucket Sound. 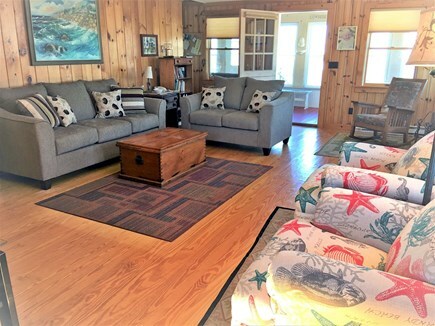 Warm and inviting, this property exudes charm throughout, featuring a country kitchen with seating for eight, front-to-back living room with fireplace, enclosed ocean view front porch with dining area - the perfect place for morning coffee or afternoon cocktails! 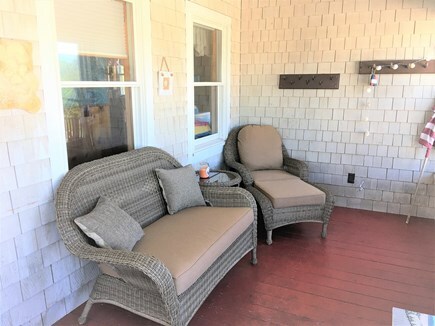 Relax and unwind in the outdoor shower with changing room, grab a glass of wine, pull up a chaise lounge chair & enjoy the large deck for those after the beach cookouts & sunsets! 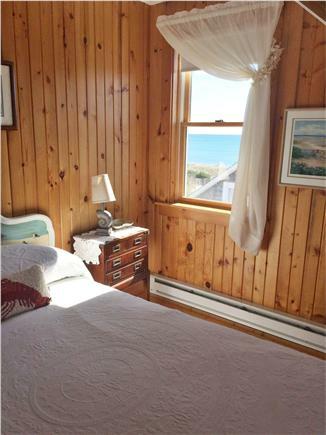 Two of the four bedrooms offer ocean views. Bedrooms are on the 2nd floor and set-up is as follows: #1 queen master (ocean views), #2 double bedroom (ocean views), bedroom #3 offers two 3/4 beds, bedroom #4 offers bunk beds and twin bed (perfect for the kids). 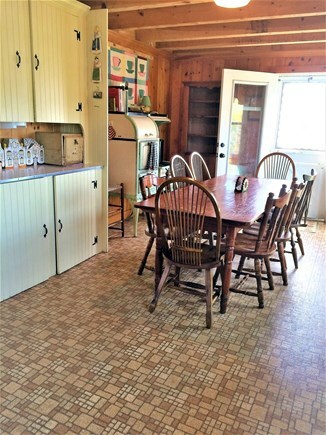 Additional amenities include a full sized washer/dryer, gas grill,and Wi-Fi. 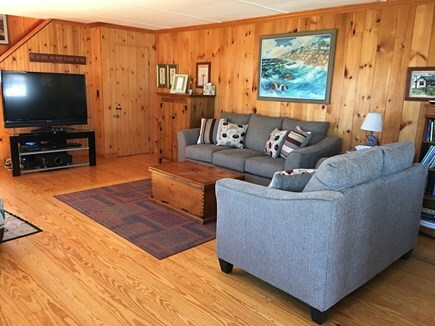 This is a well maintained home located in the Mid-Cape with a fantastic sandy beach, within a short drive to all attractions the area has to offer... dining, golfing, kayaking, tennis, shopping, Cape Cod Rail Trail. Additional pricing info: There is a $300 refundable security depoist. State and local taxes of 12.45% will apply. The area was extremely charming. Very easy access and close to so much, yet felt private. Great for all ages. Such a great house! We loved the space, it was an incredible location and so convenient with small children. Great back porch, and everyone loved the large outdoor shower. Really appreciated the fully stocked kitchenware as we cooked at home most evenings. It is a lovely home in a great spot.. This house was large enough for my whole family to be comfortable. The beach was a couple steps from the front door, which our adult kids loved. The neighbors were very friendly. I would recommend this vacation home. 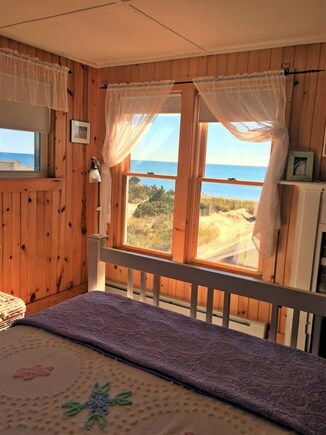 We are a family of seasoned Cape Cod renters, over 50 years of coming down during the summer! This home was very familiar to one of the older, traditional, Cape Cod homes we've stayed in. 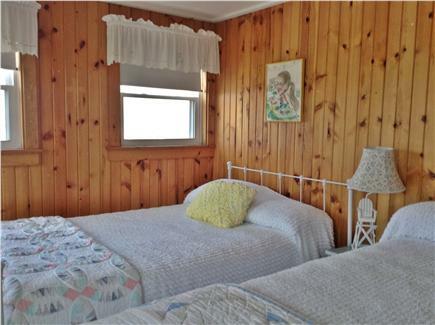 (not fancy but cozy, clean and inviting ) Three of the bedrooms had views of the Ocean. The breezes coming in were divine! The kitchen sat all 8 of us so we could all sit together for meals and games!! It was great and we had a lot of fun sitting around that table!! The kitchen is stocked with a lobster pot and cracker/pickers too, as well as a kurig and real coffee pot, plus all the dishes and utensils you need. the house is so close to the beach that we left everything except a chair, and a towel. 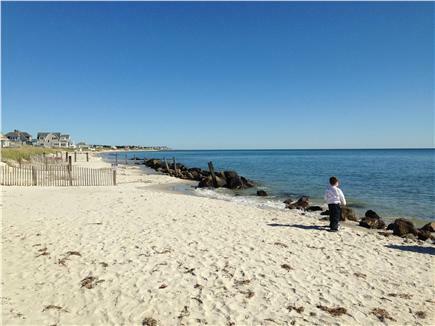 This home is close to the best mini golf, Pirates Cove and The best Ice Cream on the Cape, School House and Sundae School. Joan, who was our broker, was wonderful! 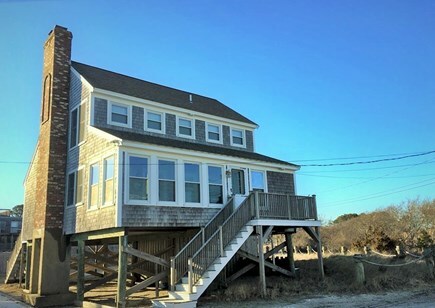 she kept in touch and made sure we had what we needed.This is a great family house if you have kids and even if its just for two, the master bedroom has a fireplace and overlooks the beach and Ocean beyond. The upstairs bath has a tub and no shower. The outside shower was great and had a changing area. 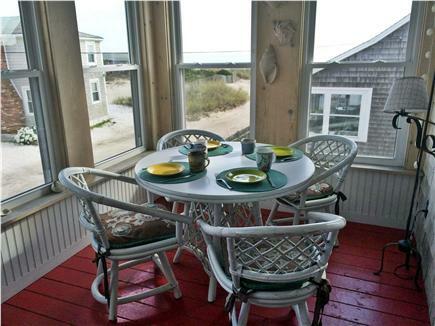 We didn't get the best weather so having the three season porch- with Ocean view, was a life saver. The big back deck , also with Ocean views was great too and the teens in our group used it to lay out even on the cloudy days. We would absolutely recommend this home to any, fun loving, casual family or group of friends. We absolutely loved our week in this home so close to the water. The house was extremely homely and comfortable and it didn't take long to settle right in. If you want to have your morning coffee, and evening drinks by the water, this is your place. 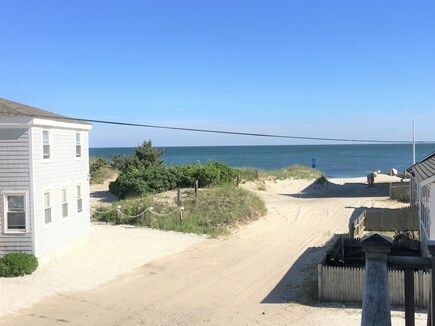 You can see and smell the fresh ocean from any place in the home, but especially the front porch, or walk down to the beach and enjoy it while your feet are in the sand. This is a must rent home for any vacation; just save the holidays for us. We just got back from a week on Ocean Avenue. We had two families of 4, 4 kids in all. We had plenty of space for everyone. It was a quiet neighborhood with a nice view from the porch. 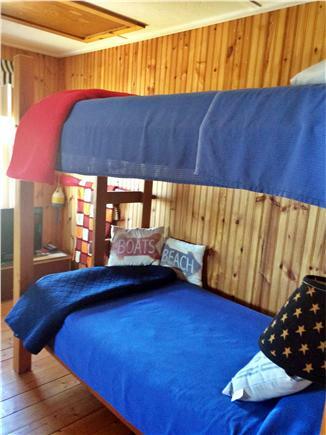 The kids loved the bunkbeds (we brought our own side rail for the top). The kitchen was charming and had plenty of supplies. Washer and dryer were very helpful. Outdoor shower is always a plus! The beach was a bit small because of private property on either side. But the sand was nice and water was warm. Short drive to Sundae School, our favorite ice cream stand. Joan, the property manager, was very responsive and helpful.